This is a simple, quick and tasty accompaniment to any meal. 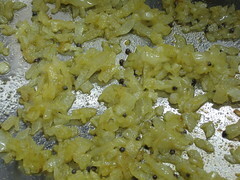 Adjust this recipe to be less spicy - just reduce the amount of red chili flakes. 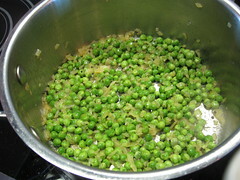 next chance i get, i'm making some 10 minute spicy peas!! they look amazing. my mouth is drooling! if i didn't have three days of Italian style feasting, i would cook some up right now! yum. Great, now I found what I look for, thank you for sharing with us. This is one of the healthy food I've seen today while browsing on the internet. 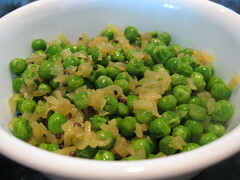 I love green peas that's why I stumble upon into your post. I've also stumbled upon this catering in new york has also great foods. Thanks for the wonderful idea.